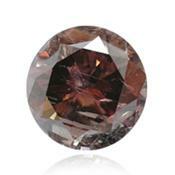 Purple diamond – original color. 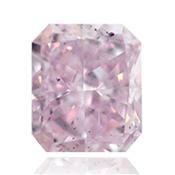 1) A lovely 1.60ct Radiant shape Fancy Pink Purple diamond, with an amazing color and luster. 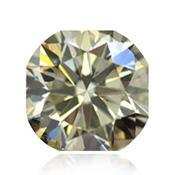 The stone is GIA graded VS2 clarity, excellent polish and good symmetry, and has a GIA laser inscription. 2) 0.44ct Fancy Intense Pinkish Purple Radiant cut diamond with an exceptional deep purple color face up. 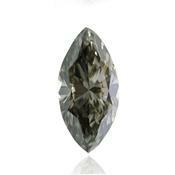 The stone has an impressive color saturation, GIA I1 clarity, and the inclusions are in the corner, so the face up is completely eye clean. 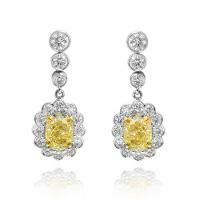 View all sale offering by purple diamonds. 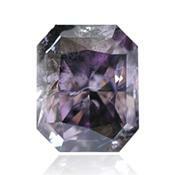 Natural purple diamonds are extremely rare. 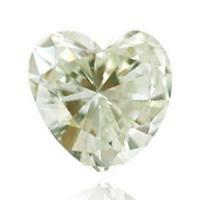 They are almost as rare as red diamonds, and therefore purple diamonds are very expensive. 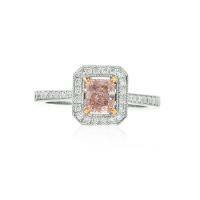 Exist diamonds in which a purple color as an additional color, like pink-purlish or red-purlish diamonds. 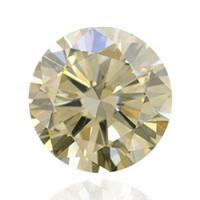 Generally, additional color reduces price of diamond. In the case of the add-on purple diamond is much more beautiful and will cost the same as having a pure solid color gemstone. 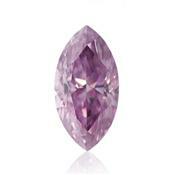 Purple diamonds are so rare that most jewelers have never seen a pure purple brilliant. 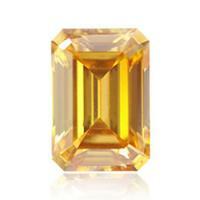 It is truly an exotic color of fancy diamonds. Purple color of diamond is a natural combination of red and blue colors. 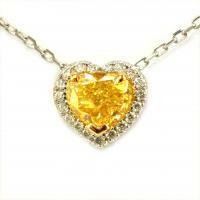 Therefore, it is believed that this stone has a double influence - hot and cold sources. 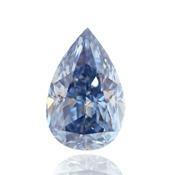 As well as red brilliants, natural pure purple diamonds are so rare that is aware of only a very insignificant quantity of purple brilliants existing in the world. 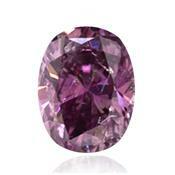 The majority of purple diamonds are got on Brazil mines or “Argayl” mine in Australia. 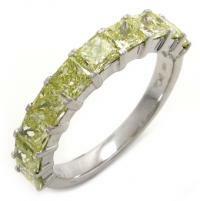 Diamonds with vivid a purple color are the most expensive and rare gemstones. 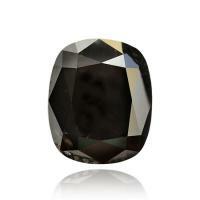 Dark purple diamond reflects light at different angles in different ways, has absolutely breathtaking effect. 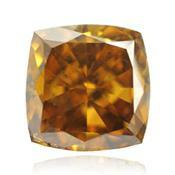 Purple diamond emitting heat and cold at the same time has an interesting effects. A light purple, fancy light purple, fancy purple, fancy pink purple, intense purple, dark brown purple, fancy dark purple, dark pink purple fancy, deep pink purple fancy, fancy brownish purple, fancy dark brown purple, fancy dark purple, fancy intensive purple, fancy intensive pinkish purple, fancy vivid purple, fancy vivid pink purple and a variety of other variations. The formation of purple diamonds. 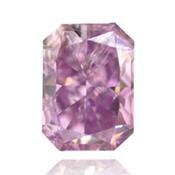 Purple color of diamond is a consequence of the plastic deformation of its crystal lattice, like of red diamond. 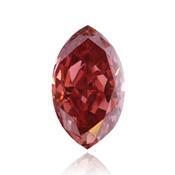 Similarly red diamonds a purple diamonds are extremely rare and similarly, and appearing on auctions make prices soar up confidently. 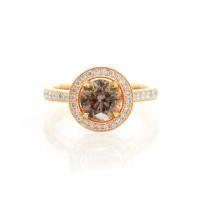 Looking at the ring with purple diamond undoubtedly feel influence his romantic. 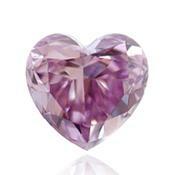 Purple color diamond symbolizes prestige and mystery, nobility and honor, is considered a love and romanticism gemstone. Purple diamonds were used for royal wedding rings. 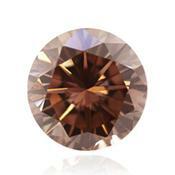 Purple diamonds are on the third place on the rarity among fancy diamonds, after red and green diamonds. Certainly, have a very high price. 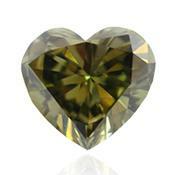 As well as other colored diamonds, purple diamonds have no definite assessment and set price listings. 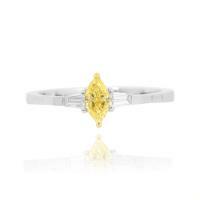 For obtaining information on price levels, dealers on sales of diamonds and gemologists are guided by information on real transactions with the color diamonds occurring at auctions like Christie's and Sotheby's. 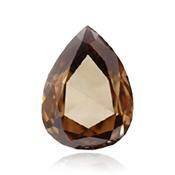 Average market prices for purple diamonds weight to 1 carat equal to $ 200,000 per carat. Purple diamonds – to buy. 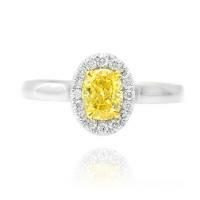 Recently, is a growing interest to colored diamonds. 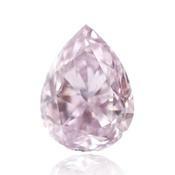 Purple diamonds are very rare fancy diamonds, and the price is constantly growing. 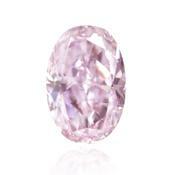 Purple diamonds can only be purchased at the famous jewelry auctions or exchanges. Upon purchase of a natural purple diamond the best way guaranteeing quality obtaining the certificate of GIA (Gemological Institute of America), confirming the natural gemstone and all its characteristics is. GIA is non-profit organization which doesn't sell and doesn't buy diamonds, this organization has only assessment diamonds, its activities are focused on education and research. 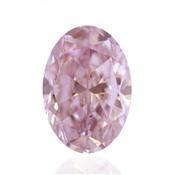 In most cases purple diamonds are got as collecting subjects. Purchase of a purple diamond always will be a good investment.